Haiti ranks 168 out of 187 on the 2014 Human Development Index. Life expectancy in Haiti is only 63 years; 75% of the rural population lives in poverty on less than $2 per day and do not have access to medical care. Severe and unrecognized hypertension contributes to high levels of stroke, heart failure and premature death. Through our new hypertension initiative, we are training local nurses and other health care providers in a simple, easy-to-follow protocol and providing a supply of prepackaged, safe and inexpensive medications. 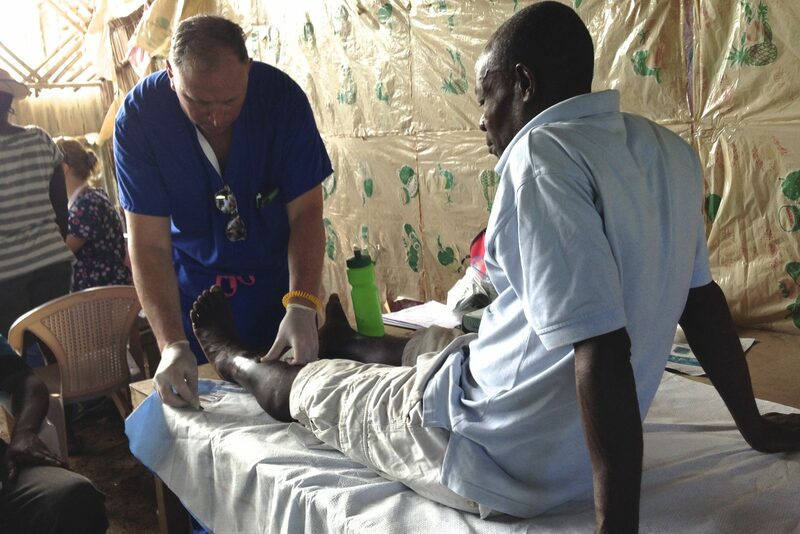 Our pilot program is being supervised by a Haitian nurse practitioner: Heal – Teach – Support in action! And the compliance rate in the new program is inspiring: 95% of the patients enrolled in October remain in the program, come to their regular appointments and are on the correct medications, with positive results. Our second site in the village of Robillard, also a community with high acuity, launched this May; the next site is scheduled to open in early 2018. More women die from cervical cancer in Haiti than from any other type of cancer, with an estimated 1,500 preventable deaths each year, the highest reported incidence of cervical cancer of any country in the world, 50 times higher than the rate in the United States. 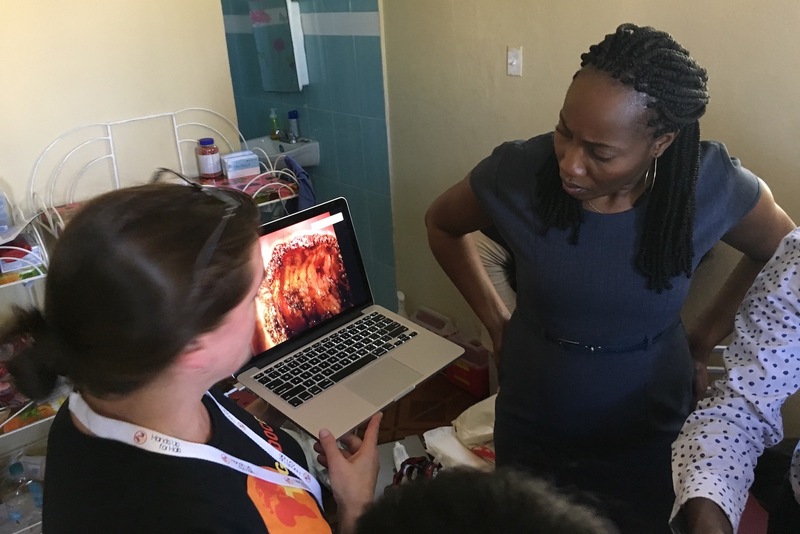 That is because, until now, pap smears or other screening programs, taken for granted in the developed world, has been unavailable to most Haitian women. With our new program, we have screened more than 1000 women to date, finding and treating lesions and preventing premature and unnecessary deaths in nearly one-third of them, and we expect to screen nearly 3000 more women this year as we expand the program and plan a mobile clinic. As part of our education program, we are also training doctors and residents-in-training in LEEP, the protocol to treat suspicious lesions as soon as they are found. Haitian doctors saving Haitian lives. 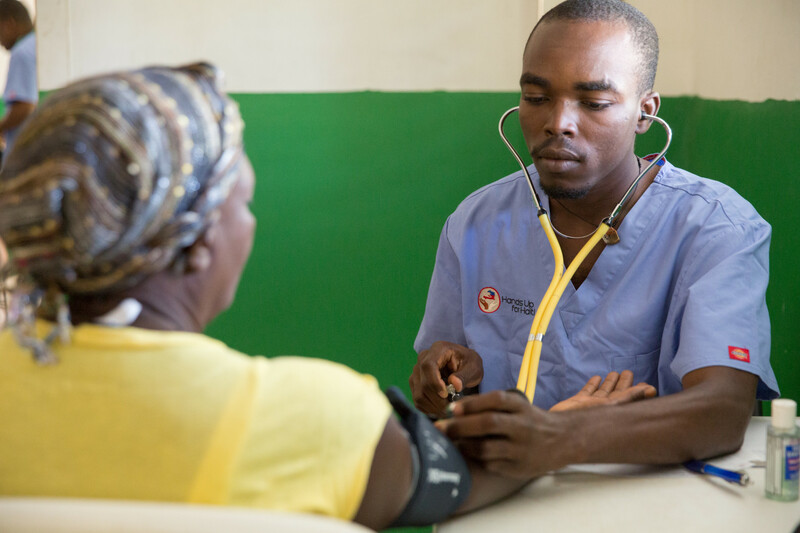 Our visiting teams, in collaboration with our Haitian staff, frequently set up one-day outreach clinics in remote villages, where they often see more than a hundred patients in a day, many of whom have never before seen a doctor. These teams initially focused on seeing children, but recently the care of adults has become equally important. Our specialty teams in surgical care, ophthalmology, dentistry, obstetrics and gynecology, podiatry and psychiatry treat patients, train Haitian medical staff and deliver educational programs. As education is a major part of our mission, whenever a specialist is part of a team, arrangements are made to lecture at the teaching hospitals in Cap Haitien and the nursing schools. 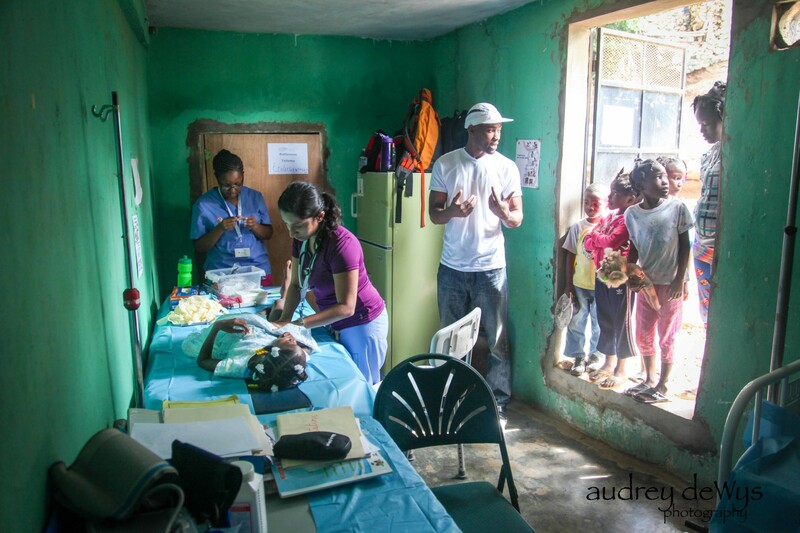 HUFH supports several clinics in and around Cap Haitien. 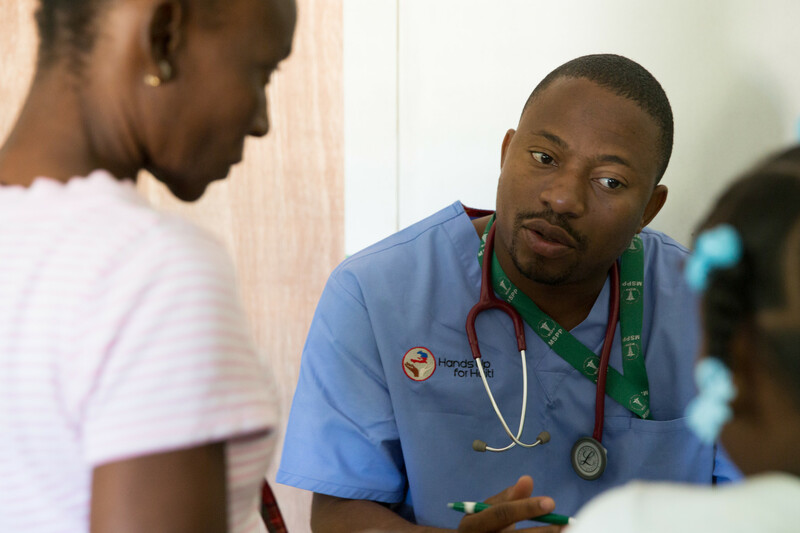 These clinics are staffed year-round by Haitian doctors, nurses and community health workers, who are directly supported by HUFH donors. The staff provides care for children, pregnant women and other adults. Our goals are to provide direct care for acute illnesses, improve maternal and neonatal outcomes, promote breastfeeding, identify and treat malnutrition, and identify and treat preventable diseases in adults. HUFH supports the clinics with medical supplies, medications, and laboratory equipment, and our visiting teams provide additional support, working side-by-side with clinic staff.